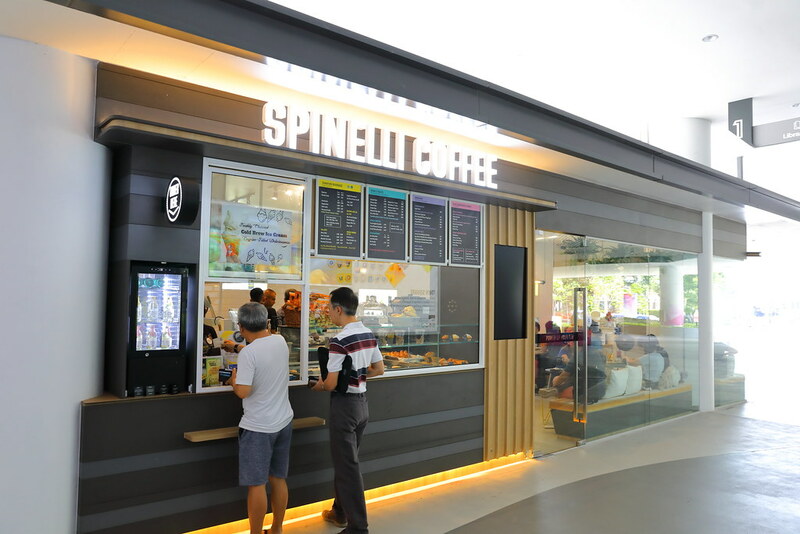 Spinelli Coffee has opened its very first suburban outlet in the heartland at Tampines Hub. 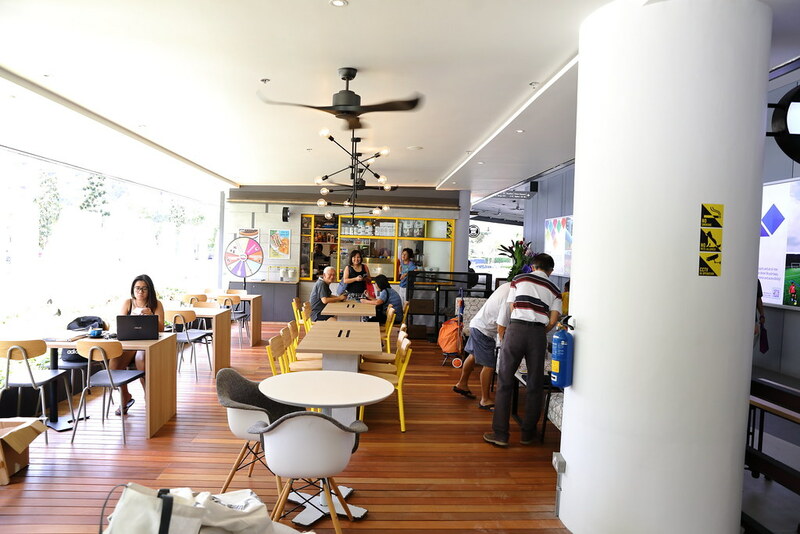 The newest outlet is located near the library side, directly opposite NTUC income. It has both air conditioned and outdoor sitting area. 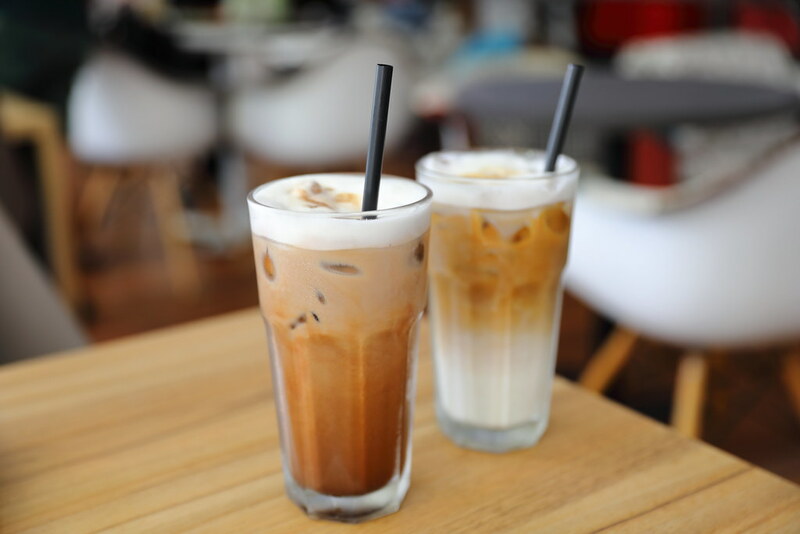 The weather has been extremely hot lately, and what better way to cold down at the cafe with a cold drink. 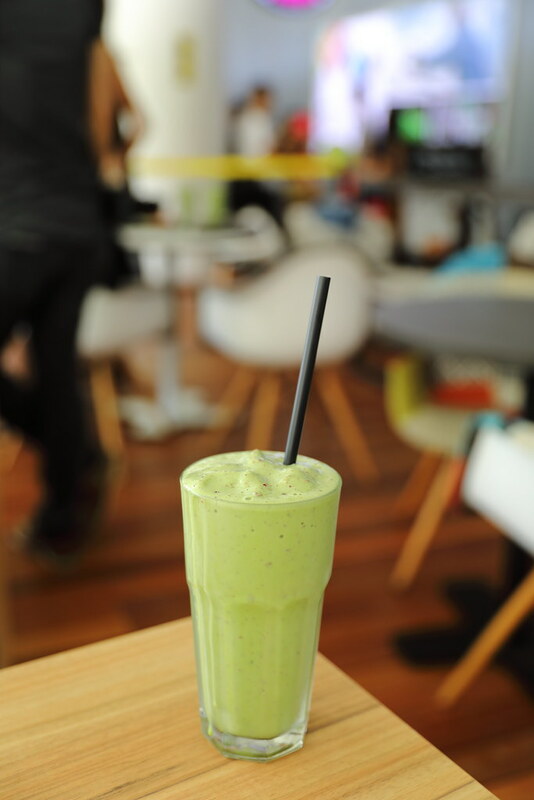 A few recommend choices would be the Ice Mocha, Ice Latte and Iced Matcha T-Twist. 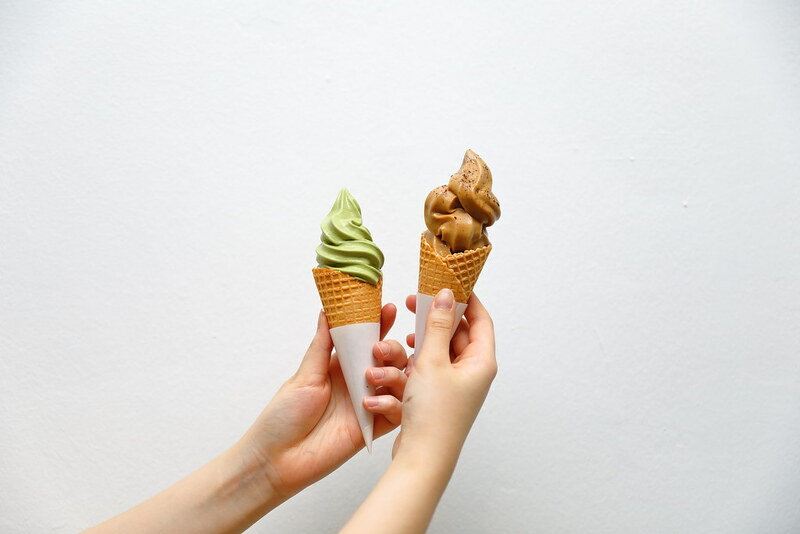 An interesting twist is the matcha t-twist, which is a blend of matcha powder with cranberries. The combination of bitterness and sourness surprisingly works harmoniously together. For the health conscious eater. there is a number of salad bowls at Spinelli Coffee. One of these is the Quinoa Salad Bowl ($9.80). 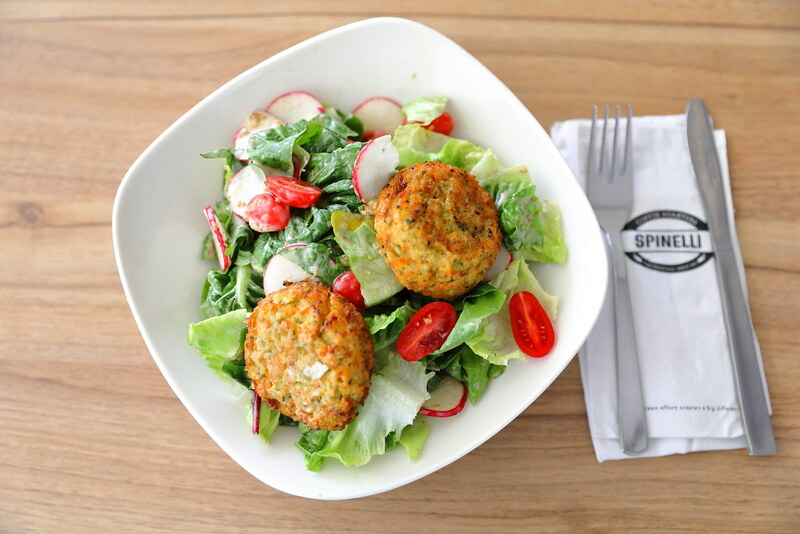 The bowl comes filled with fresh crunchy greens, sweet tomatoes and quinoa patties. I love the roasted sesame sauce that is drizzled on top, boosting a flavourful finishing. I am not a bagel person as I dislike the dense texture of the dough. However the Bagel Tomate Olive ($4.50) turns out pretty good. 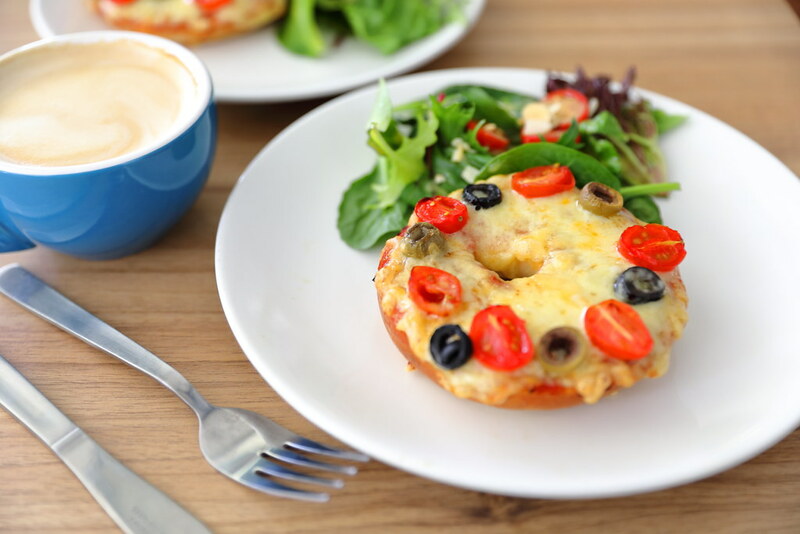 The open-faced bagel topped with cheesy pizza toppings is soft and fluffy. As for the Beef Lasagna ($10.80), I didn't quite enjoy it. 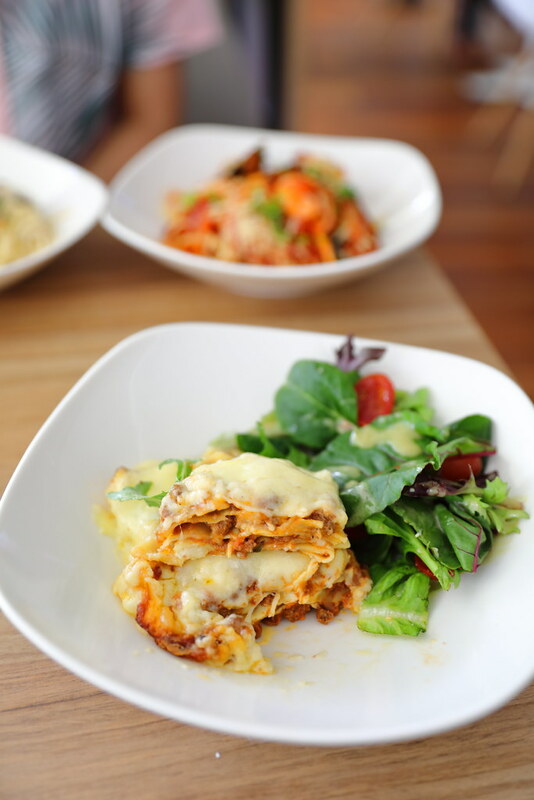 While the flavours from the cheese and beef are spot on, I felt that the pasta sheets are too soft, without texture. This doesn't help with the layer of gooey stretchy cheese on top. it just made the whole dish collapsed into a pool of softness. If you are at Spinelli Coffee just to chill, you may want to order some cakes to go along with your drinks. 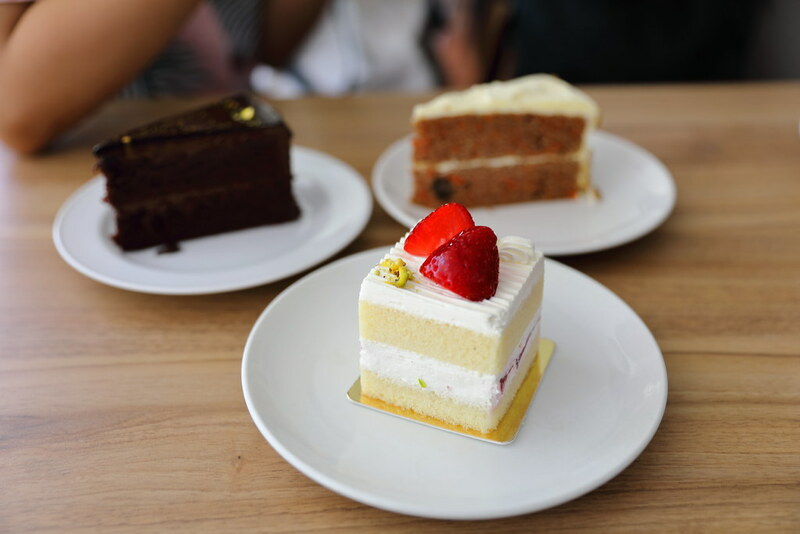 They have a number of cakes such as the Strawberry Shortcake ($6.80), Carrot Cake and Devil's Chocolate Cake ($5.20). If you like something light, then I would recommend the strawberry shortcake, if not my personal favourite the the rich Devil's Chocolate Cake. Another first at Spinelli Coffee besides opening its first suburban outlet is the introduction of their freshly churned Cold Brew Ice Cream ($4.20). The ice cream is infused with the rich coffee aroma on top of its smooth creamy swirls.